The government of Shandong, a large coastal province in eastern China, recently announced that it will take drastic steps to reduce coal consumption in the province. This suggests that China is beginning to tackle the problem of large aluminium companies that flout environmental and energy regulations through the use of “captive power” (power plants that supply primarily to one industrial customer). 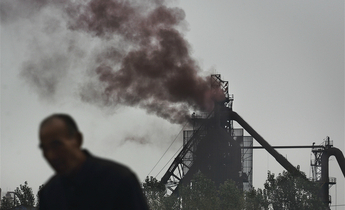 Shandong is the only province that has yet to meet a 2017 deadline to clean its air by cutting coal consumption. 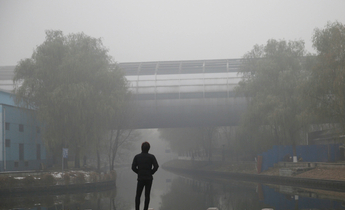 Responding to public anger at air pollution, the State Council in September 2013 ordered the four-year clean-up of seven provinces and major cities in its “Air Pollution Prevention and Control Action Plan”. The other regions reached their target within two years but Shandong has yet to do so. 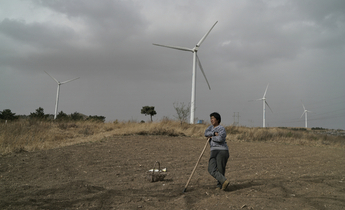 The province is a major polluter of northern China because prevailing winds blow much of its pollution north-west towards Beijing. As China’s third largest province by gross domestic product (GDP), the industrial and agricultural behemoth pumps out more carbon dioxide (CO2) than any other province. 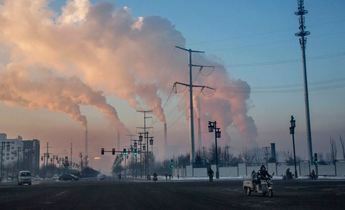 Shandong’s huge coal-fired power sector is the cause of much of this pollution. The province also has half a dozen major aluminium firms, whose in-house power plants are proving hard to regulate. Large industrial facilities need stable electricity supplies, and so many run their own “captive power” plants, which are contributing to carbon intensity in Shandong. Take Weiqiao Pioneering Group, for example. It has for some time been China’s largest textile manufacturer and has expanded to become the world’s largest producer of aluminium. Weiqiao has coal power capacity of about 14.4 gigawatts in Binzhou prefecture, all using relatively inefficient “subcritical” steam generators. The efficiency of this model of generator is typically 16% less than modern ultra-supercritical plants in terms of CO2 emissions per kilowatt hour. Weiqiao’s Hong Kong-listed aluminium subsidiary employs about 160,000 people in Binzhou and another 100,000 indirect jobs depend on the company, making it a major part of the district’s economy and vital to GDP and tax revenue – all metrics that matter to local officials. Weiqiao’s captive plants also benefit the local economy through subsidised electricity prices. Captive power plants are not subject to the usual dispatch regime administered by the State Grid. Thermal plants in Shandong averaged 59% capacity in 2016, while Weiqiao’s captive plants ran at roughly 80%. One consequence of this is that there is usually surplus electricity, which can be sold to local residents and businesses at low prices. The intervention of local officials allowed Weiqiao to undercut the grid monopoly and replace the State Grid as the main provider of electricity in the region following a dispute in 2009. Residents of Zouping, home to about 50% of Weiqiao’s generation capacity, now pay roughly half the province’s average rate and commercial customers pay about two thirds. Although Weiqiao’s growth has brought significant local economic benefits, its economic weight has allowed it to bypass many environmental regulations. Its economic clout also prevents the local government from effectively managing the captive power problem. With Weiqiao managing its own power provision, the onus falls on the company to accurately report energy use to local and central authorities. Until recently, Weiqiao has continued to grow quickly. Its current power plants have all been built since 2010, representing a significant sunk cost in infrastructure with a lifespan typically of 40 years or more. A further 8.7 gigawatts of capacity was under construction as of early 2017. Weiqiao’s aluminium production capacity has also expanded fast. Against average annual growth in international demand for aluminium of 5% during 2012-2015, China’s aluminium production grew by an average 13%. Weiqiao’s capacity increased by an average 31%. This growth has been underpinned by the company’s ambition to capture market share, combined with an implicit guarantee that government will support companies that are “too big to fail” if they encounter difficulties. 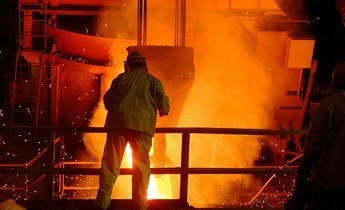 Between May and September last year, its aluminium company received orders from the Zouping Environmental Protection Bureau to cease operations at production lines with combined annual capacity of 3.6 million tonnes. But production was apparently allowed to continue. Weiqiao was also ordered to stop construction of a smelting plant (1.3 million tonnes annual capacity) having failed to seek environmental impact assessment approval before making major changes to a downstream processing plant. It was separately told to cease construction of a power plant with 4.8 gigawatts of generating capacity, shut down a 1.3 gigawatt combined heat and power plant, and an alumina refinery, for the same offence. Weiqiao Group was fined an unspecified sum. 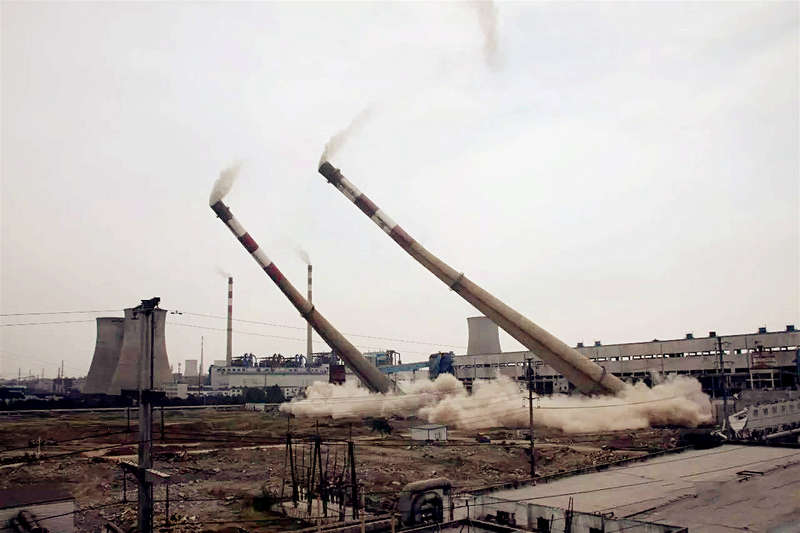 Weiqiao’s relationship with local government in Binzhou has facilitated its development despite these environmental offences. According to locals, the company has received preferential taxation and land purchase treatment over many years. When Weiqiao hit financial difficulties in the mid-1990s, the prefectural government stepped in and asked commercial banks to support the company. Currently more than half the company’s credit is still provided by local financial institutions. A key problem arising from captive power is the reporting of energy consumption data, which relies on the company itself as captive plants do not utilise State Grid infrastructure. In late 2015, Weiqiao was found to have illegally misreported data for both coal and electricity consumption. The corrected data resulted in a 25% jump in reported national electricity consumption for the non-ferrous metals sector for 2015, though industrial production increased less than 7%. The revision may have been due to new requirements for carbon accounting from big emitters: these enterprises were required to begin reporting emissions data from 2015, meaning major discrepancies between emissions and electricity consumption were likely to be identified then. Weiqiao’s rapid expansion seemed unstoppable until February this year. In late March, it announced a trading halt to its subsidiaries due to a report alleging financial irregularities by a short-seller. It claimed that China Hongqiao had hidden some 21.6 billion yuan (US$3.3 billion) of costs through “under-reporting and related party subsidies over the years”, in particular for self-supplied electricity from its parent company. They estimated that its real profitability was less than half of its claim and that the stock was worth only 40% of its price at the time. The company’s auditor, Ernst & Young, subsequently recommended third-party verification of the company’s finances. The company requested assistance from government given that it could default on a US$700 million (4.6 billion yuan) loan unless it received waivers from creditors. The company wrote a letter to the sectoral association, warning of “serious effects” if Weiqiao did not receive help, including “regional systemic financial risks” and “dramatic social unrest”. The association in turn submitted a letter to the Ministry of Industry which blamed the report’s accusations on US interests that aimed to damage China’s aluminium industry. The letter suggested that the “heart of imperialism is not dead”. Beyond immediate financial relief, the way in which the situation is handled will have significant implications not just for the local economy in Binzhou but for similar companies throughout China. 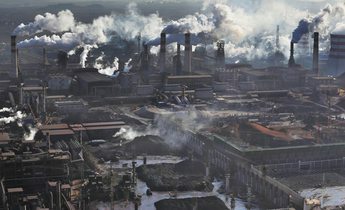 The public nature of the controversy reflects badly on the Chinese government, exposing a sector that had been evading scrutiny and leading to both environmental impacts and damage to China’s reputation on international trade. Evidently, the situation led to closer scrutiny of Weiqiao. 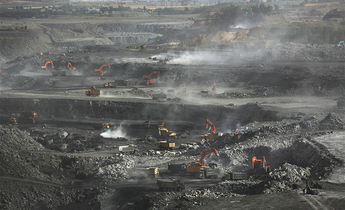 In July, the Shandong provincial government issued a notice outlining comprehensive efforts to reduce coal consumption in the province for the remainder of the year. The notice identified 2.68 million tonnes of Weiqiao’s aluminium production capacity as “illegal”, all of which needed to be shut down immediately. In addition, 5.7 gigawatts of illegal coal-fired units were ordered to shut down, excluding recently closed capacity. Weiqiao’s captive power model is widespread among other leading aluminium companies, suggesting that accountability remains a problem. Altogether, there is at least 26.4 gigawatts of coal power capacity in the North China Grid region belonging to aluminium companies, more than half of it subcritical. Shandong Xinfa Group has 11.2 gigawatts of power generation capacity, of which 7.3 gigawatts is at Liaocheng, Shandong. Xinfa (not a listed company) also has a troubled environmental record that includes reported impacts on local rivers and agriculture, air pollution and carbon emissions. 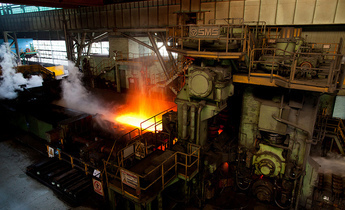 It was also identified in the July notice, and ordered to close 530 thousand tonnes of aluminium production capacity and one gigawatt of coal power capacity. Chalco, China Power and East Hope Group each has coal power capacity dedicated to aluminium processing, though significantly less than Weiqiao and Xinfa. Furthermore, at least 15.7 gigawatts of coal power capacity was under construction in early 2017 on behalf of aluminium companies across China, and another 6.1 gigawatts planned. This additional capacity is almost equal to the national capacity of Ukraine, Europe’s third largest coal power user (after Germany and Poland). The central government began trimming the pipeline of coal power projects in March 2016. Recently, the National Energy Administration (NEA) has suggested that approvals for new plants will be suspended for almost all provinces, including Shandong. Furthermore, the government in early 2017 cancelled many approved and under-construction projects as surplus to demand. Most of the cancelled 14.2 gigawatts of capacity in Shandong belonged to the big five generators. However, a further 10.7 gigawatts was still under construction, 8.7 gigawatts of which belonged to Weiqiao Group. This suggests that Weiqiao has largely been given a pass in relation to the NEA overcapacity measures so far. The recent measures to close illegal capacity indicate that this may now change. An important part of the government’s response will be for the NEA to carefully review under-construction capacity, with a view to cancelling capacity that is not commercially viable on a reasonable assessment of the market situation. Reforming the operations of companies such as Weiqiao to improve efficiency and reduce carbon pollution while managing local economic impacts is a significant challenge. A financial collapse of the Weiqiao Group would cause serious economic dislocation in the region. The gravity of the situation underlines the importance of balanced and diversified economic strategies for areas like Binzhou. While investment in recent years has provided jobs and local government revenue, the concentration of resources in one company or sector magnifies economic risk. The aluminium sector is now facing a slowdown, with consequences for profitability. If government financial support is provided to Weiqiao then it should facilitate a managed economic transition towards a more diverse economy. The recent forced closures are an important first step, but regulators should work towards gradually removing the implicit guarantee provided to companies such as Weiqiao that are “too big to fail”. Heavy industry has often been granted leeway on compliance with environmental regulations because of past contributions to growth. However, Weiqiao’s case suggests that central, provincial and local governments should prioritise strict supervision of companies with captive power provision, including regular spot checks and thorough auditing of financial and energy consumption data. Acknowledgements: The author would like to thank Ted Nace and the CoalSwarm team for providing access to data on coal power. Fascinating article with unusual detail, that is telling of the hard work that went into the piece. Keep up the good work CD!